While you are in Cleveland, you should check out the Rock and Roll Hall of Fame Museum. The world's only museum devoted to the celebration and preservation of rock and roll music, guests can examine a variety of fascinating exhibits and archives. The museum also offers educational programs for guests of all ages to delve deeper into the world of music. There are seven floors of fascinating exhibits for you to explore using media such as film, video, music, and interactive kiosks to educate guests. One of the exhibits, Cities and Sounds, consists of artifacts and historic videos focusing on various time periods in a variety of cities. You will also learn about Rock and Roll’s early years and find information on cities such as Memphis, Detroit, London, and San Francisco. Also be sure to visit the Roots of Rock and Roll Blues, Gospel, Country/Folk/Bluegrass/RB exhibit featuring a variety of artifacts and fascinating bios from key artists in each of the iconic genres. The Beatles exhibit is perhaps one of the more popular galleries where visitors will see a variety of artifacts from each of the members of the band including George Harrison’s striped suit from the 1966 U.S. tour, Ringo Starr’s 1969 birthday card to John Lennon, John Lennon’s black coat worn in the Help! music video, and John Lennon’s GibsonJ-160 acoustic guitar. John Lennon used the guitar to record songs such as Wood and Give Peace a Chance. The Beatles changed rock and roll and popular music and their career lasted less than a decade. 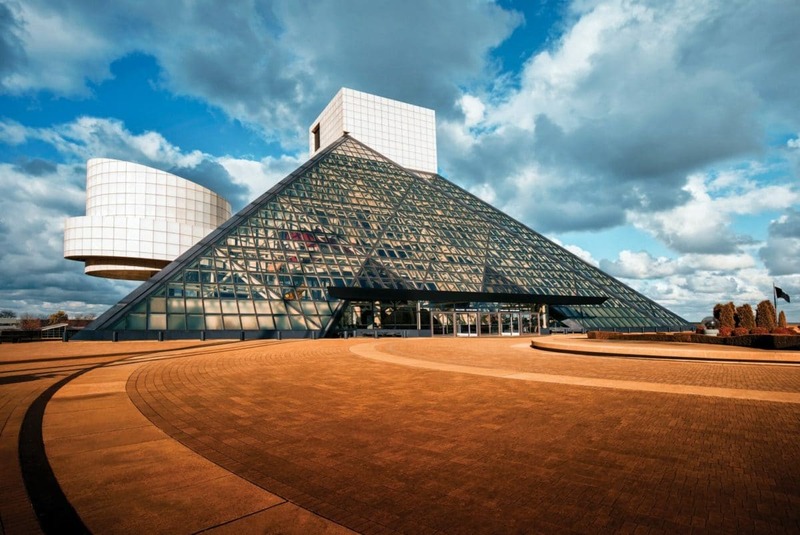 The Cleveland Rock and Roll Hall of Fame Museum's mission is to preserve the history and influence of this iconic rock band and others and educate the public on their importance in the grand scheme of social and musical evolution.